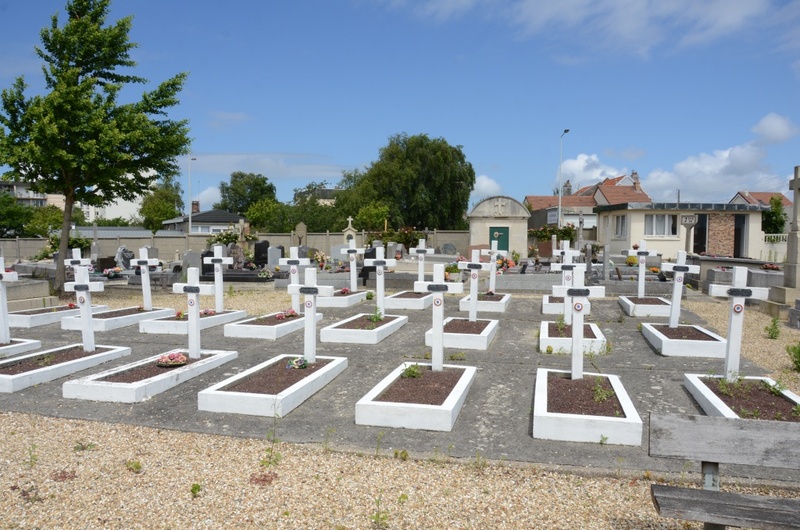 Sanvic is a town on the northern outskirts of Le Havre and the communal cemetery lies to the west of the town in the Rue Albert Copieux, nearly one kilometre from the church. 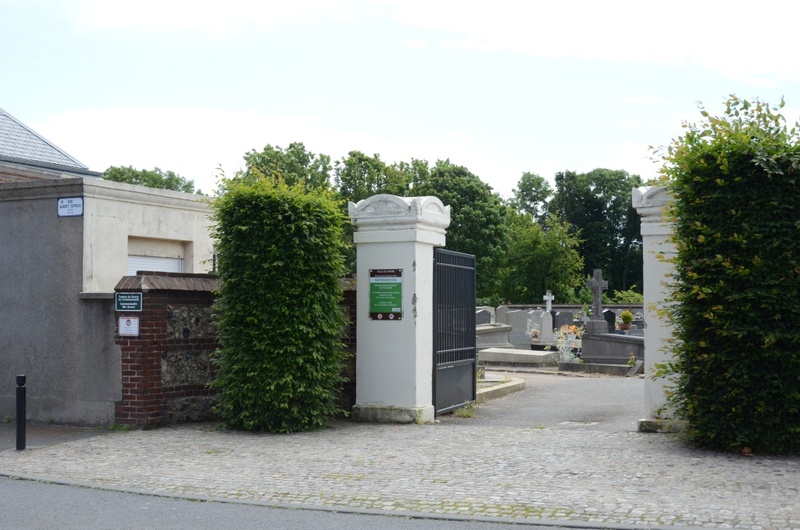 The old fortress of Ste Addresse is near the cemetery, The three British graves are about 70 metres north of the main entrance. There are now 3, 1939-1945 war casualties commemorated in this site. 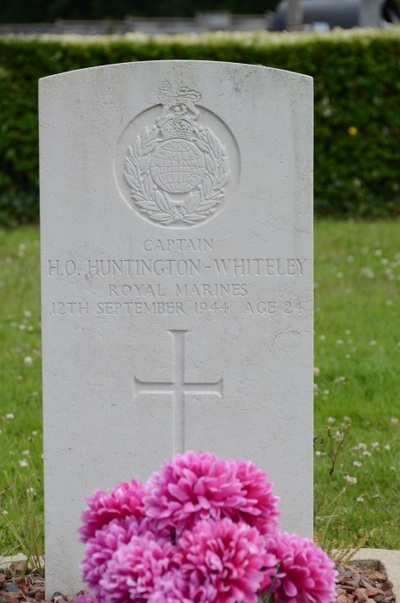 Captain Herbert Oliver Huntingdon-Whiteley, 30 Assault Unit, Royal Marines, 12th September 19144, aged 24. Son of Captain Sir Herbert Maurice Huntington-Whiteley, R.N., 2nd Bt., and of Lady Pamela Margaret Huntington-Whiteley (nee Baldwin), of Astley, Stourport-on-Severn, Worcestershire. 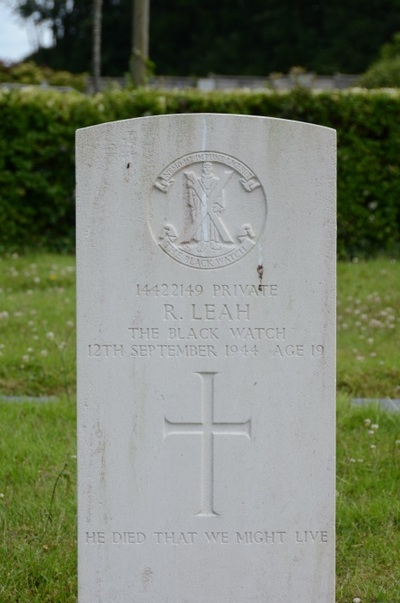 14422149 Private Ronald Leah, 7th Bn., Black Watch (Royal Highlanders), 12th September 1944, aged 19. 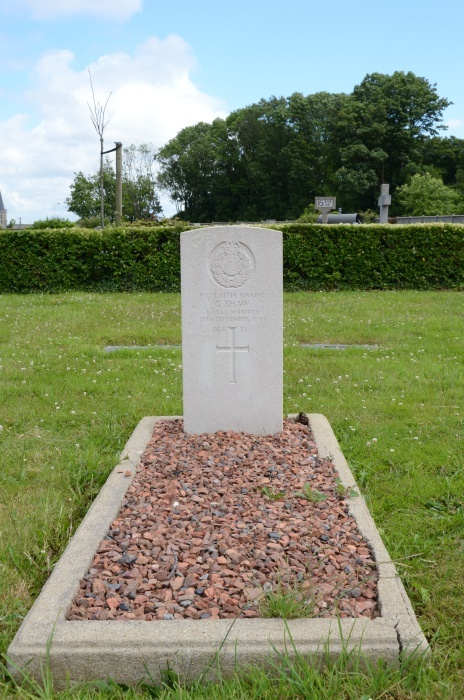 Son of Herbert Ernest and Martha Elizabeth Leah, of Droylsden, Lancashire. 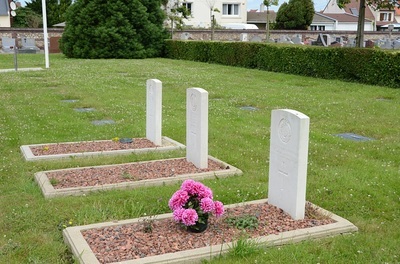 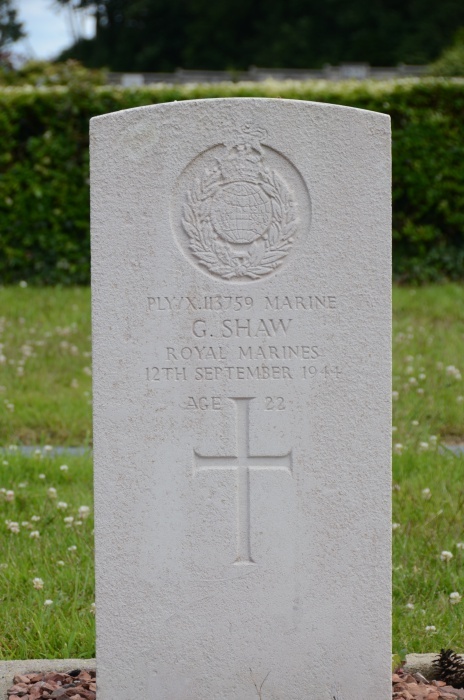 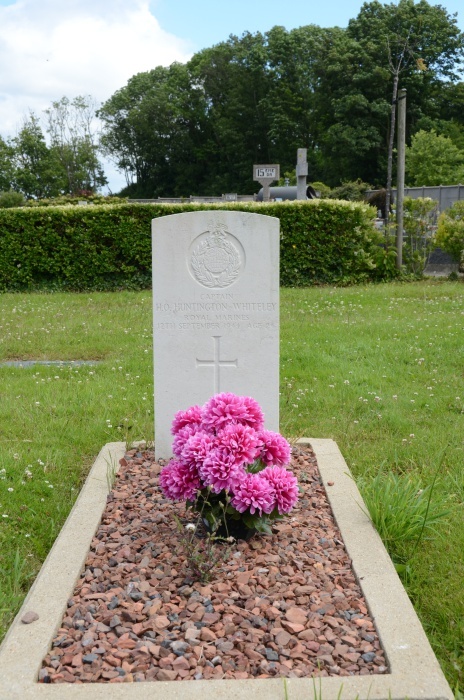 PLY/X113759 Marine Geoffrey Shaw, 30 Assault Unit, Royal Marines, died 12th September 1944, aged 22. 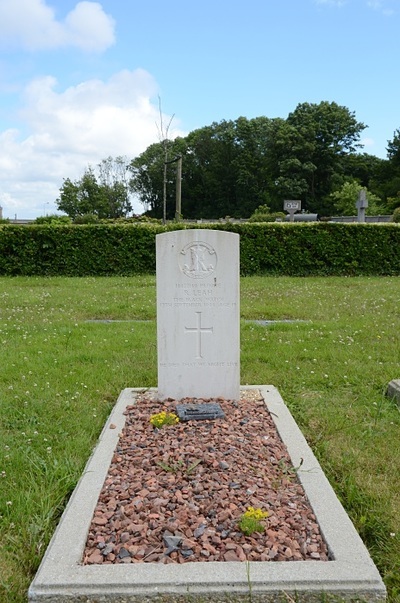 Son of William Birch and Amy Shaw of Sheffield.